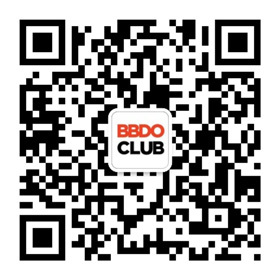 BBDO Worldwide Inc., BBDO USA LLC and its subsidiaries (“BBDO”) respect your concerns about privacy. BBDO participates in the EU-U.S. Privacy Shield framework (“Privacy Shield”) issued by the U.S. Department of Commerce. BBDO commits to comply with the Privacy Shield Principles with respect to Consumer Personal Data the company receives from the EU in reliance on the Privacy Shield. This Policy describes how BBDO implements the Privacy Shield Principles for Consumer Personal Data. “Employee” means any current, former or prospective employee, intern, temporary worker or contractor of BBDO or any of its EU subsidiaries or affiliates, or any related individual whose Personal Data BBDO processes in connection with an employment relationship, who is located in the EU. “Personal Data” means any information, including Sensitive Data, that is (i) about an identified or identifiable individual, (ii) received by BBDO in the U.S. from the EU, and (iii) recorded in any form. “Supplier” means any supplier, vendor or other third party located in the EU that provides services or products to BBDO. BBDO’s Privacy Shield certification, along with additional information about the Privacy Shield, can be found at https://www.privacyshield.gov/. For more information about Consumer Personal Data processing with respect to information obtained through BBDO’s website, please visit the Online Privacy Notice. BBDO collects Personal Data directly from Consumers. This collection occurs, for example, when a Consumer visits BBDO’s website. The company may use this information for the purposes indicated in the Online Privacy Notice. Personal Data in content Consumers provide on BBDO’s website and other data collected automatically through the website (such as IP addresses, browser characteristics, device characteristics, operating system, language preferences, referring URLs, information on actions taken on our website, and dates and times of website visits). In addition, BBDO obtains Personal Data, such as contact information and financial account information, of its Suppliers’ representatives. BBDO uses this information to manage its relationships with its Suppliers, process payments, expenses and reimbursements, and carry out BBDO’s obligations under its contracts with the Suppliers. BBDO also may obtain and use Consumer Personal Data in other ways for which BBDO provides specific notice at the time of collection. BBDO’s privacy practices regarding the processing of Consumer Personal Data comply with the Privacy Shield Principles of Notice; Choice; Accountability for Onward Transfer; Security; Data Integrity and Purpose Limitation; Access; and Recourse, Enforcement and Liability. BBDO provides information in this Policy and the Online Privacy Notice about its Consumer Personal Data practices, including the types of Personal Data BBDO collects, the types of third parties to which BBDO discloses the Personal Data and the purposes for doing so, the rights and choices Consumers have for limiting the use and disclosure of their Personal Data, and how to contact BBDO about its practices concerning Personal Data. BBDO generally offers Consumers the opportunity to choose whether their Personal Data may be (i) disclosed to third-party Controllers or (ii) used for a purpose that is materially different from the purposes for which the information was originally collected or subsequently authorized by the relevant Consumer. To the extent required by the Privacy Shield Principles, BBDO obtains opt-in consent for certain uses and disclosures of Sensitive Data. Consumers may contact BBDO as indicated below regarding the company’s use or disclosure of their Personal Data. Unless BBDO offers Consumers an appropriate choice, the company uses Personal Data only for purposes that are materially the same as those indicated in this Policy. BBDO shares Consumer Personal Data with its affiliates and subsidiaries. BBDO may disclose Consumer Personal Data without offering an opportunity to opt out, and may be required to disclose the Personal Data, (i) to third-party Processors the company has retained to perform services on its behalf and pursuant to its instructions, (ii) if it is required to do so by law or legal process, or (iii) in response to lawful requests from public authorities, including to meet national security, public interest or law enforcement requirements. BBDO also reserves the right to transfer Personal Data in the event of an audit or if the company sells or transfers all or a portion of its business or assets (including in the event of a merger, acquisition, joint venture, reorganization, dissolution or liquidation). This Policy and the Online Privacy Notice describe BBDO’s sharing of Consumer Personal Data. Except as permitted or required by applicable law, BBDO provides Consumers with an opportunity to opt out of sharing their Personal Data with third-party Controllers. BBDO requires third-party Controllers to whom it discloses Consumer Personal Data to contractually agree to (i) only process the Personal Data for limited and specified purposes consistent with the consent provided by the relevant Consumer, (ii) provide the same level of protection for Personal Data as is required by the Privacy Shield Principles, and (iii) notify BBDO and cease processing Personal Data (or take other reasonable and appropriate remedial steps) if the third-party Controller determines that it cannot meet its obligation to provide the same level of protection for Personal Data as is required by the Privacy Shield Principles. With respect to transfers of Consumer Personal Data to third-party Processors, BBDO (i) enters into a contract with each relevant Processor, (ii) transfers Personal Data to each such Processor only for limited and specified purposes, (iii) ascertains that the Processor is obligated to provide the Personal Data with at least the same level of privacy protection as is required by the Privacy Shield Principles, (iv) takes reasonable and appropriate steps to ensure that the Processor effectively processes the Personal Data in a manner consistent with BBDO’s obligations under the Privacy Shield Principles, (v) requires the Processor to notify BBDO if the Processor determines that it can no longer meet its obligation to provide the same level of protection as is required by the Privacy Shield Principles, (vi) upon notice, including under (v) above, takes reasonable and appropriate steps to stop and remediate unauthorized processing of the Personal Data by the Processor, and (vii) provides a summary or representative copy of the relevant privacy provisions of the Processor contract to the Department of Commerce, upon request. BBDO remains liable under the Privacy Shield Principles if the company’s third-party Processor onward transfer recipients process relevant Personal Data in a manner inconsistent with the Privacy Shield Principles, unless BBDO proves that it is not responsible for the event giving rise to the damage. BBDO takes reasonable and appropriate measures to protect Consumer Personal Data from loss, misuse and unauthorized access, disclosure, alteration and destruction, taking into account the risks involved in the processing and the nature of the Personal Data. BBDO limits the Consumer Personal Data it processes to that which is relevant for the purposes of the particular processing. BBDO does not process Consumer Personal Data in ways that are incompatible with the purposes for which the information was collected or subsequently authorized by the relevant Consumer. In addition, to the extent necessary for these purposes, BBDO takes reasonable steps to ensure that the Personal Data the company processes is (i) reliable for its intended use, and (ii) accurate, complete and current. In this regard, BBDO relies on its Consumers to update and correct the relevant Personal Data to the extent necessary for the purposes for which the information was collected or subsequently authorized. Consumers may contact BBDO as indicated below to request that BBDO update or correct relevant Personal Data. Subject to applicable law, BBDO retains Consumer Personal Data in a form that identifies or renders identifiable the relevant Consumer only for as long as it serves a purpose that is compatible with the purposes for which the Personal Data was collected or subsequently authorized by the Consumer. Consumers generally have the right to access their Personal Data. Accordingly, where appropriate, BBDO provides Consumers with reasonable access to the Personal Data BBDO maintains about them. BBDO also provides a reasonable opportunity for those Consumers to correct, amend or delete the information where it is inaccurate or has been processed in violation of the Privacy Shield Principles, as appropriate. BBDO may limit or deny access to Personal Data where the burden or expense of providing access would be disproportionate to the risks to the Consumer’s privacy in the case in question, or where the rights of persons other than the Consumer would be violated. Consumers may request access to their Personal Data by contacting BBDO as indicated below. BBDO has mechanisms in place designed to help assure compliance with the Privacy Shield Principles. BBDO conducts an annual self-assessment of its Consumer Personal Data practices to verify that the attestations and assertions BBDO makes about its Privacy Shield privacy practices are true and that BBDO’s privacy practices have been implemented as represented and in accordance with the Privacy Shield Principles. Consumers may file a complaint concerning BBDO’s processing of their Personal Data. BBDO will take steps to remedy issues arising out of its alleged failure to comply with the Privacy Shield Principles. Consumers may contact BBDO as specified below about complaints regarding BBDO’s Consumer Personal Data practices. If a Consumer’s complaint cannot be resolved through BBDO’s internal processes, BBDO will cooperate with JAMS pursuant to the JAMS Privacy Shield Program, which is described on the JAMS website at https://www.jamsadr.com/eu-us-privacy-shield. JAMS mediation may be commenced as provided for in the JAMS rules. Following the dispute resolution process, the mediator or the Consumer may refer the matter to the U.S. Federal Trade Commission, which has Privacy Shield investigatory and enforcement powers over BBDO. Under certain circumstances, Consumers also may be able to invoke binding arbitration to address complaints about BBDO’s compliance with the Privacy Shield Principles.